The Sacred Heart Cathedral in Bendigo, Victoria is an English Gothic architectural masterpiece. It is one of Australia’s largest churches being 75 metres long and has a ceiling height of 24 metres. The main spire is 87 metres high. Building commenced in 1897 but it wasn’t fully completed until 1977. It is indeed - and that light adds to the drama. It is very dramatic. Great picture. That is a very impressive building. For a second I thought you had flipped countries. 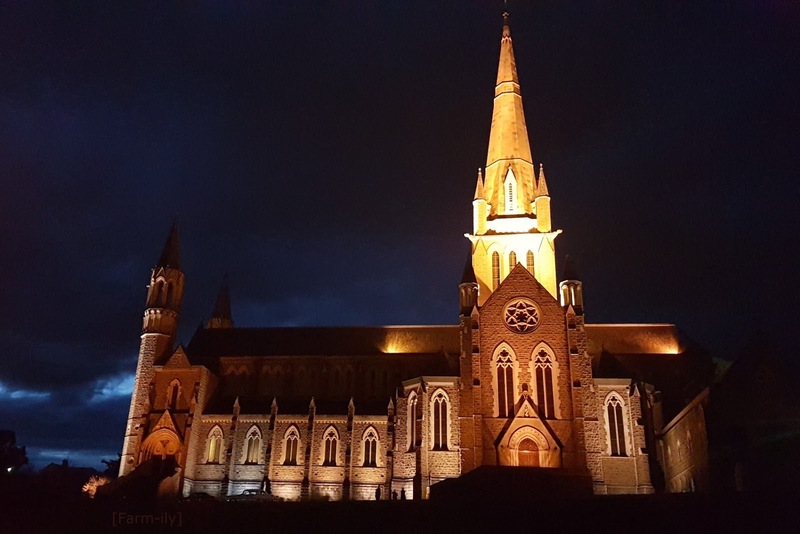 Beautiful church and the night light is super.